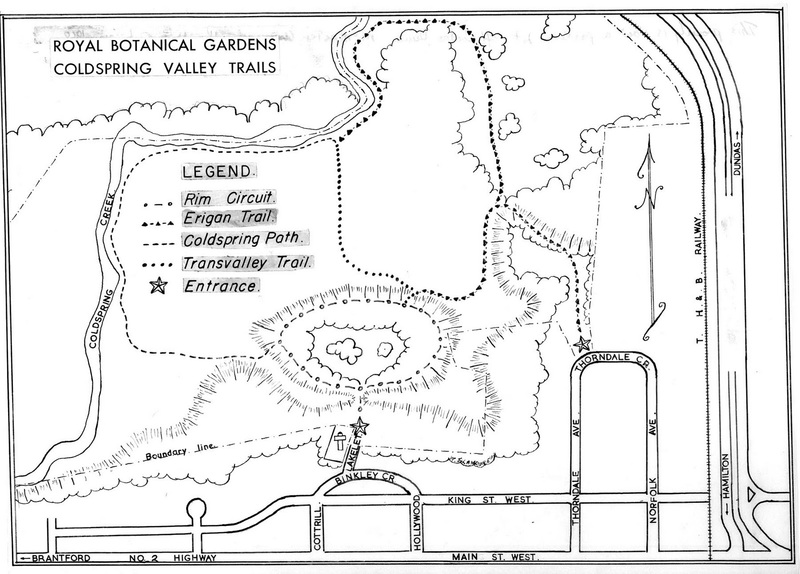 Ponds to Parking History Hike into West Campus with guide Randy Kay, Tuesday, June 5, 12:30pm sharp, depart from the OPIRG Office (McMaster University Student Centre room 229) - free! 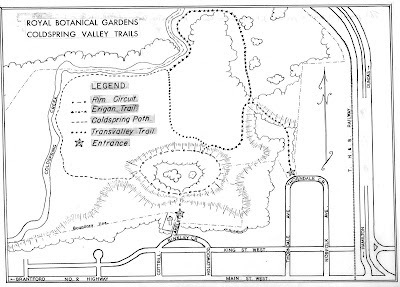 - explore the history of McMaster's expansion into West Campus: Visit a Pioneer Cemetery, check out Ancaster Creek (AKA Coldspring Creek), find out what happened to Binkley's Pond, and find out about recent developments to improve the natural habitat in Parking Lot M.
Did you know that the west campus parking lots were, from 1958 until McMaster purchased the land in 1963, owned by Royal Botanical Gardens as Coldspring Valley Nature Sanctuary? Blue Herons for Coldspring Valley!